Jacob Young was born in 1979 to now-divorced parents Michael and Rhonda, joining siblings Michael, Tiffany and Charity. After spending his childhood in both Washington and Oregon, he caught the acting bug doing high-school musicals. Shortly after he landed the part of Rick on BOLD AND BEAUTIFUL, which earned him a Daytime Emmy nomination in 1999 — the same year he left the show. In 2000, Young landed the coveted recast role of Lucky, son of Luke and Laura Spencer on GENERAL HOSPITAL, for which he won the 2002 Daytime Emmy as Outstanding Younger Actor. 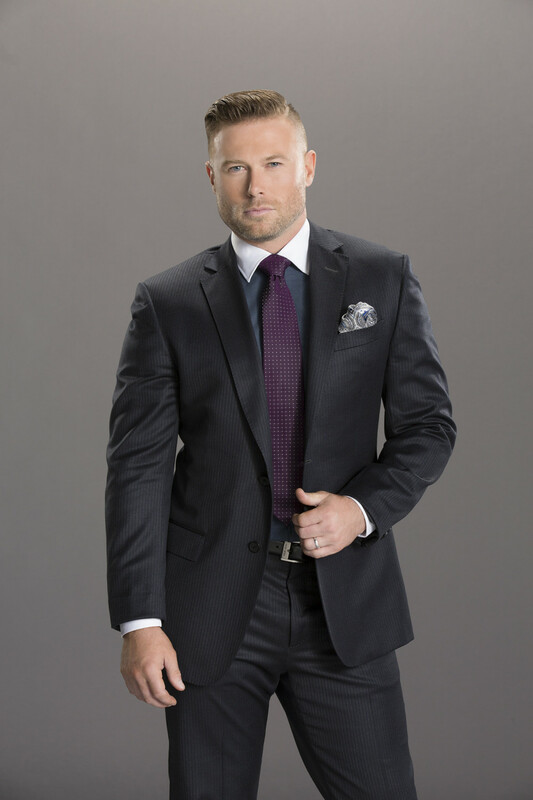 When he left the show in February 2003, the buzz was that Young had turned up his nose at daytime — but he disproved that theory when he accepted the part of JR Chandler on ALL MY CHILDREN, debuting October 2 the same year. The AMC gig required Young to relocate to New York, which was part of its appeal to the actor, who in 2001 released an eponymous CD, Jacob Young, and was eager to spread his wings to the theater. His dream came true in 2006 when he did a well-received stint as Lumiere on Broadway in Beauty and the Beast. This was also a banner year for the actor’s personal life: He became engaged to girlfriend Christen Stewart, whom he is now married to. The couple welcomed son Luke Wayne in November 2008. Was a nationally ranked wrestler in high school. Did a Digest interview while secretly en route to pick up the engagement ring with which he proposed to his fiancée. Was discovered by B&B's casting director after he placed an ad in the showbiz publication Variety Junior. His ethnic background? "A combination of German, English, Norwegian and my great-grandmother was a full-blooded Sioux Indian." Among the items in the memorabilia room in his New Jersey home? A pair of Jerry Lewis's slippers, given to him by Lewis himself.